From Las Vegas, head NE on I-15 to "Valley of Fire Highway." 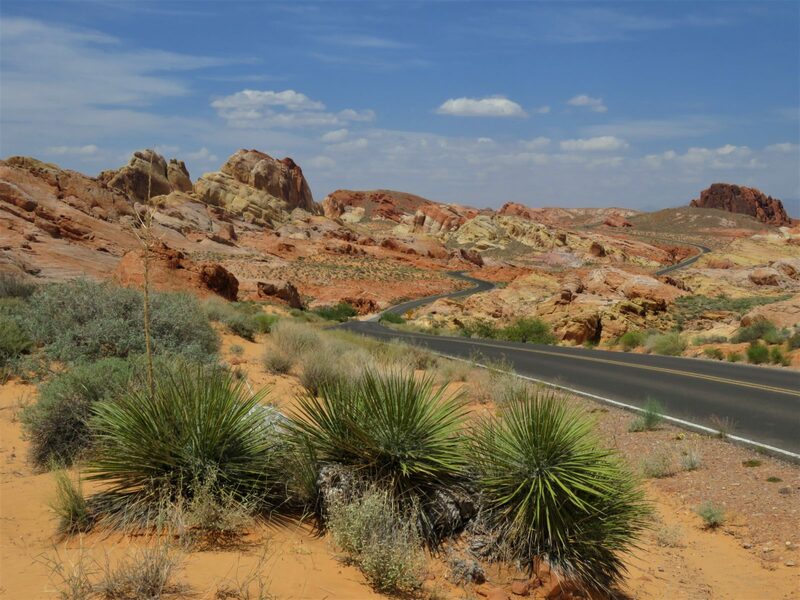 I took a road trip with my daughter to southern Nevada to visit Valley of Fire State Park. This park offers surreal sandstone landscapes with otherworldly twists, arches, and crevices. This photo depicts a road winding its way through the strange landscape.